What kind of computer tools topologists/geometrists use to visualize the objects they deal with? I have recently started to read a bit about geometry and topology. Hopf fibration, Lense spaces, CW complexes, stuff that are discussed in Hatcher's Algebraic Topology and other things that require good visualization. What is apparent to me is that the further I go, the less I understand what is going on. I have searched on YouTube and found some really nice animations for some of these topics but good animations are rare like gems. Advanced stuff in mathematics are less discussed and available on the internet. I have realized that if I want to understand math one day, at some point I should be able to create my own animations. Now, my question is rather directed at people with experience in teaching advanced mathematics or currently doing research in mathematics in areas where geometric intuition is absolutely necessary. What kind of tools do you use? Do you develop them on your own in your research team/group? Can an independent person have access to them? Is it possible for an independent person to develop this kind of tools on their own? Can you think of a situation where you couldn't understand a geometric concept visually but you created an animation that demystified it for you? An impressive animation of the Hopf fibration created by Niles Johnson using only open-source tools, available for all platforms: The Python-based mathematics program Sage was used for determining the fiber parametrizations and keeping track of all the animation data. Sage provides an interface to the ray tracing system Tachyon, which produced the individual frames. These were then stitched into an animation using FFmpeg. SnapPy is a widely used program within the geometric topology community for studying hyperbolic structures on $3$-manifolds. Here is a YouTube video of Nathan Dunfield showing off some of SnapPy's functionality (creating Dirichlet domains, showing how to visualize the cusps, etc). Not the answer you're looking for? Browse other questions tagged soft-question mathematics-education mathematical-software software or ask your own question. What is DAG and what has it to do with the ideas of Voevodsky? 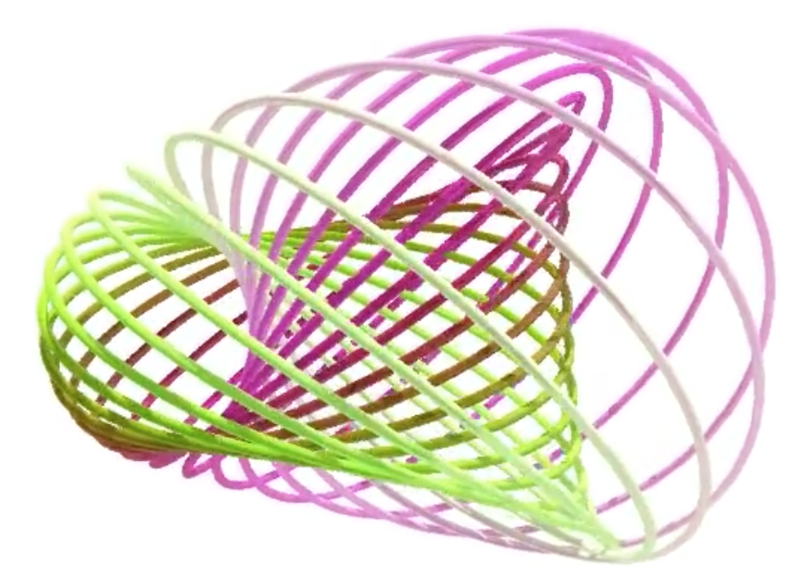 What is / are the softwares to use to draw surfaces of the form of a two or three-holed torus , or torus, or torus with cusps attached to it? Which tools can identify scholarly papers that use the same types of equations?